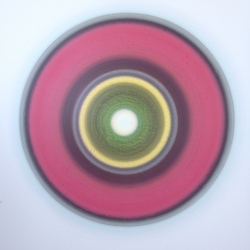 Ulrich Panzer is a German artist who currently lives in Canada. 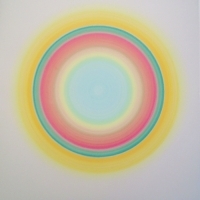 When not travelling he lives and works in his studio near Kingston, Ontario. 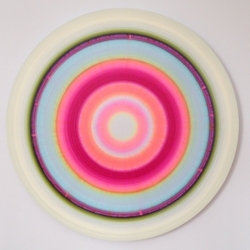 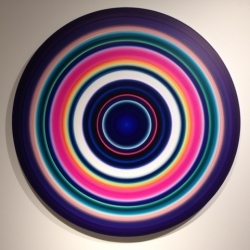 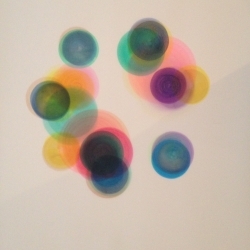 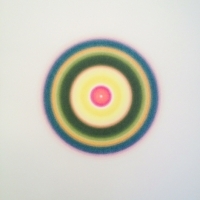 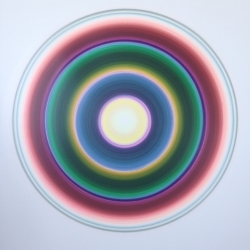 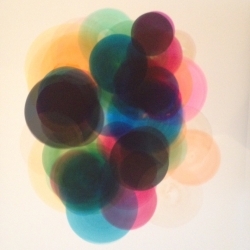 The present vivid concentric colour circles have evolved from the previous series "Spheres". 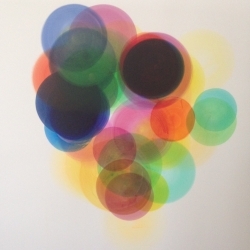 What was then a dynamic interplay of multiple coloured circles and definition of space is now concentrated in one single form. 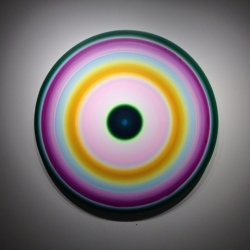 The paintings are inspired by the merging of the senses,synesthetic perceptions of sound and musical chords as well as the artist's interest in seashells and minerals. 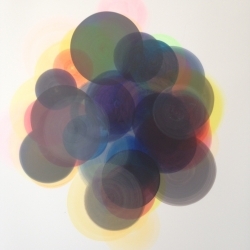 By adding numerous layers of thinnest ink and pigments an extraordinary physicality of radiating frequencies is created that draws the viewer into the Present Tense of Seeing.They have been called "songs of light".His work is influenced by his extensive travels through Europe, North Africa and Asia. 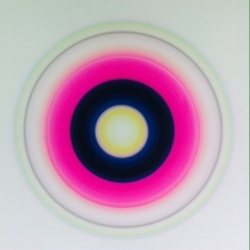 Besides having a record of international exhibitions and Sound Performances he facilitates experiential workshops about the perception of colour, sound and architectural space since 1994.